Willis Earl Beal, Tara Jane O'Neill, Sugar Candy Mountain Repress, etc. Well, this will be the last big update for a while. But, I am staying busy. After a month in Europe on tour with Michael Nau, I spoke on a panel at the Making Vinyl panel in Detroit, and I'll be headed to Scandanavia in a week to train some Swedes on how to use their machines. 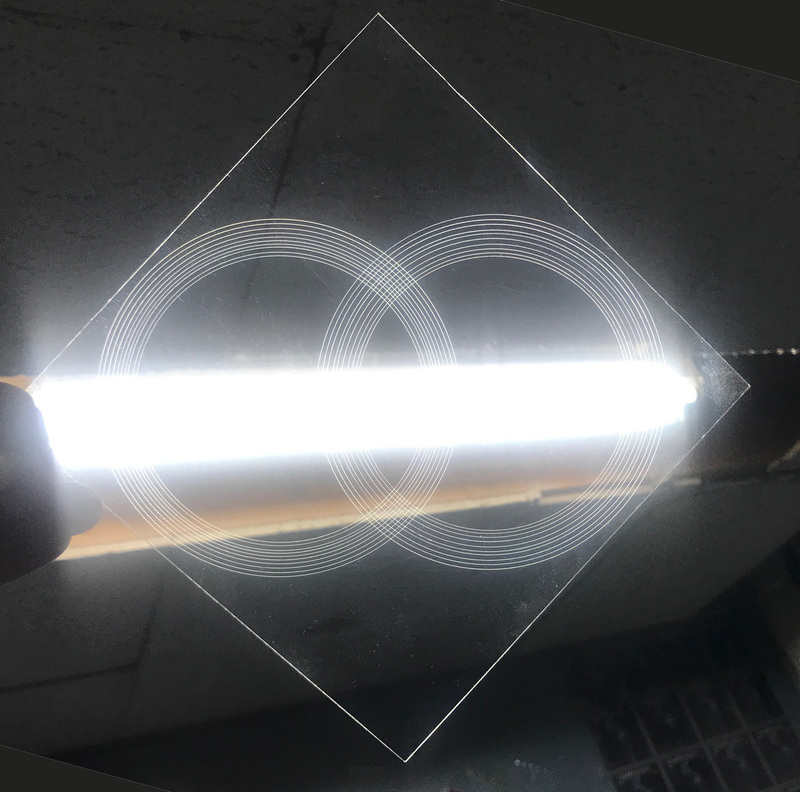 Lathe Cut Camp 6 was great! So, I'm looking to book Lathe Cut Camp 7 in January or February. If you are interested, email me at lathecuts@yahoo.com. 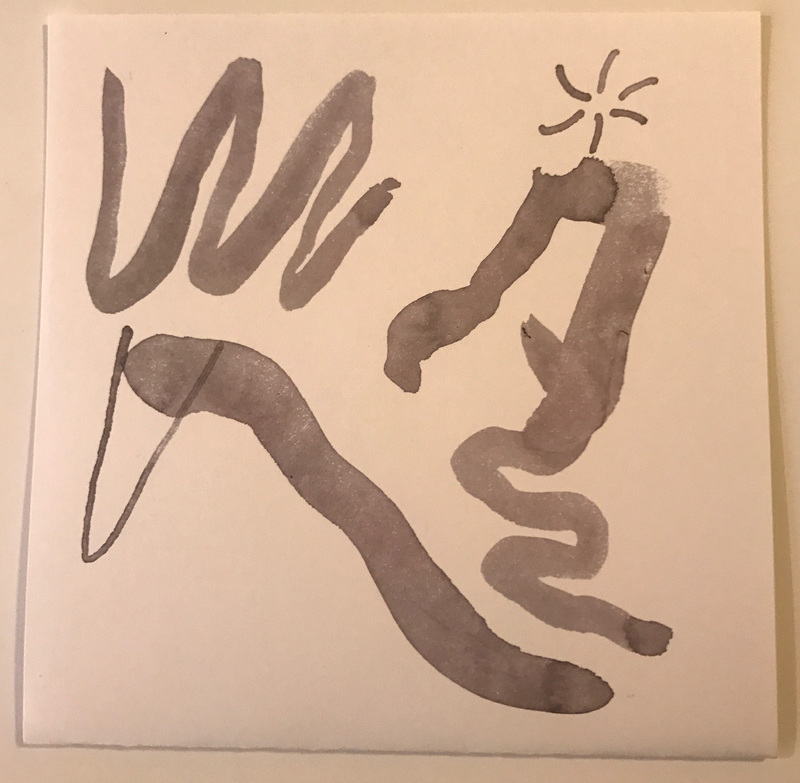 Housekeeping Notes: There are still a handful of copies of Floating Action - Is It Exquisite and the Devendra Banhart Remixes 8" available. 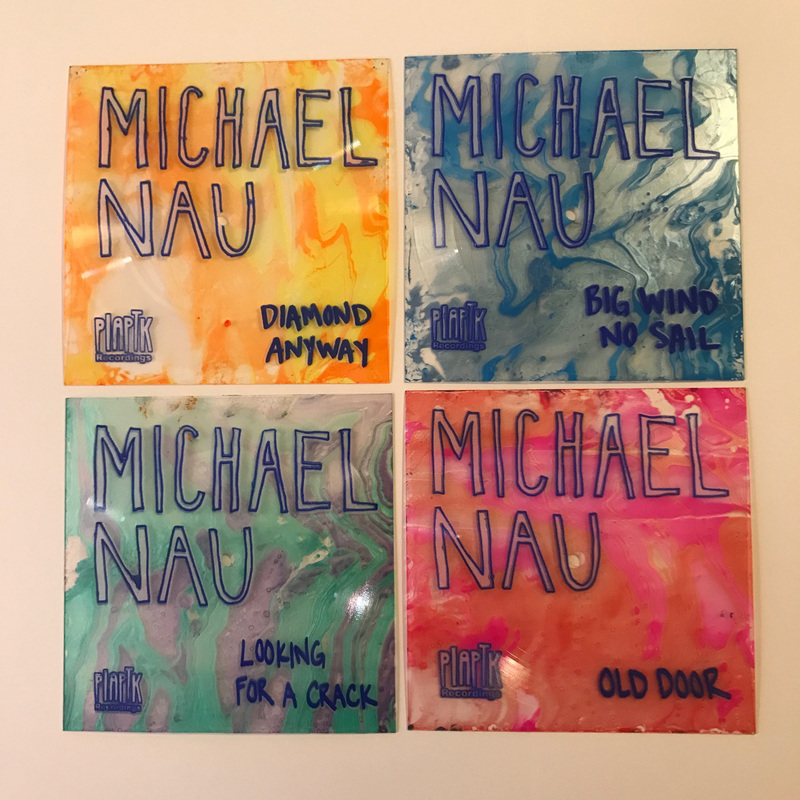 1.Michael Nau/PIAPTK European Tour Singles BACK FOR SALE... again! **So, TWICE, We had to take these down for sale right after we sent emails because of some miscommunication with Michael's two Labels. We thought we had it ironed out, and then we didn't and then we did, and then maybe we did or maybe we didn't. Anyway, we took them on tour, and have a few of each individual disc left, so we are making them available again (until somebody tells us we can't sell them again, so get them soon if you want them!). Was extremely excited to be approached by Tara Jane O'Neil to make her some records for her Japanese tour (happening now). We made 75 of them, hand painted and stamped by TJO herself, and we both got half to sell. Includes covers of "Believe" by Cher, and "Women of the World" by Ivor Cutler. 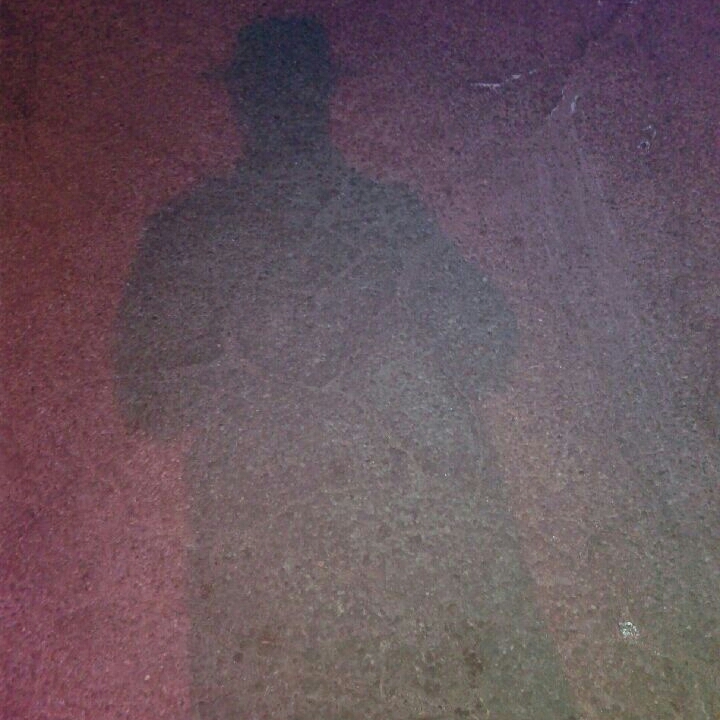 Willis Earl Beal (who also goes by the name Nobody) is a mysterious and strange guy. He's been on my radar for a long time, because he lived in Olympia shortly after I left, and I would hear about him from a lot of my friends around town. He's prolific and has released records on XL Recordings, Tender Loving Empire, Found Magazine, etc. Check out his wikipedia pageto get some background on him. 4. 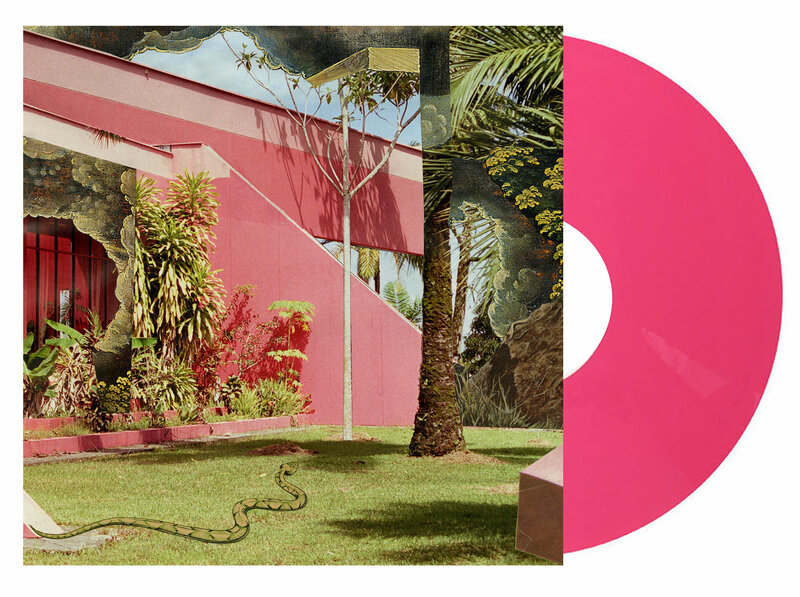 Sugar Candy Mountain - 666 Repress AND Ash Reiter Solo LP, HOLA! 666 has been BLOWING UP. 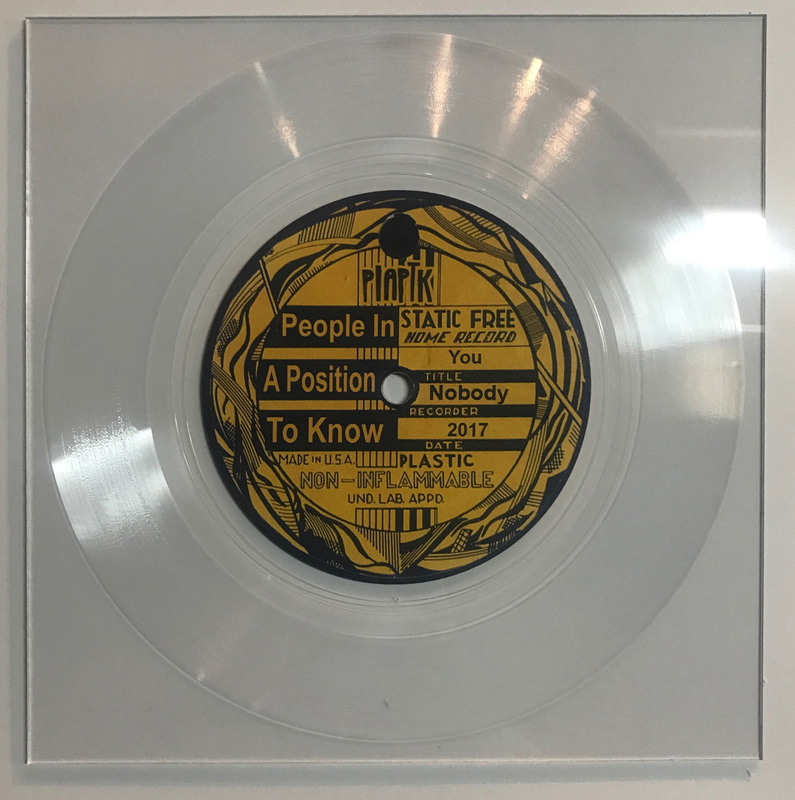 It is officially the highest selling PIAPTK release ever. So it had to be repressed in both the US and in Europe. Now, in addition to being available on beautiful and stark black vinyl, it is also available on Coke Bottle Clear, and a few copies on solid pink vinyl. 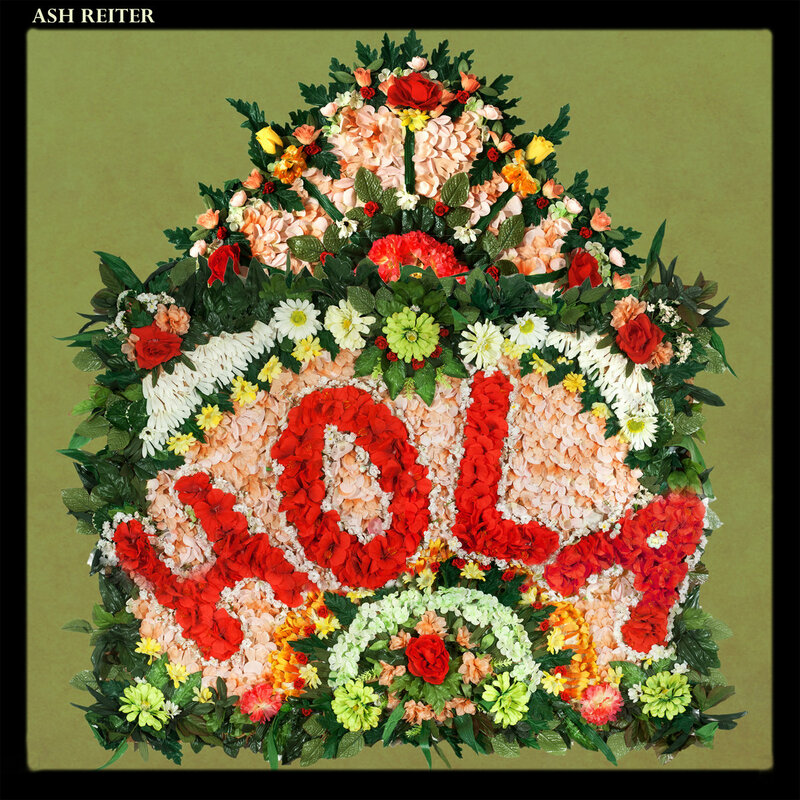 We also have some distro copies of SCM Front Woman, Ash Reiter's solo LP, "HOLA"! 5. 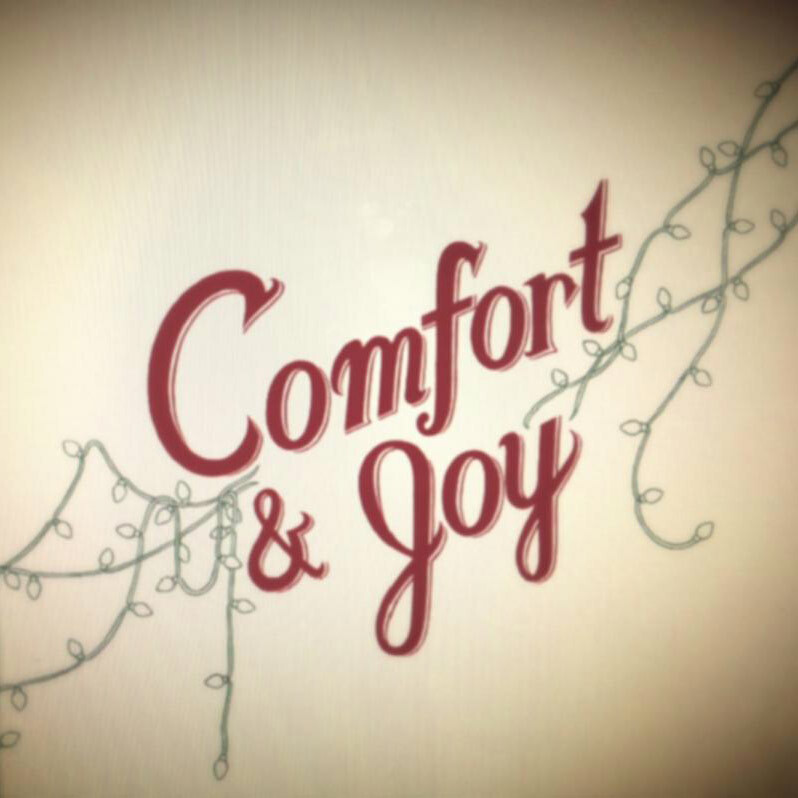 Comfort And Joy Xmas Comp! We found 6 copies of this amazing Xmas Comp in a box from a couple of years ago, and now is the time to spread the Xmas joy! Released by my good buddies, Liz and Carlos Perpetua-Valdez, all profits from this killer Christmas Compilation go to benefit a charity for Homeless Teens in Seattle. Only 500 copies, all on Gold and Silver Specked Vinyl! 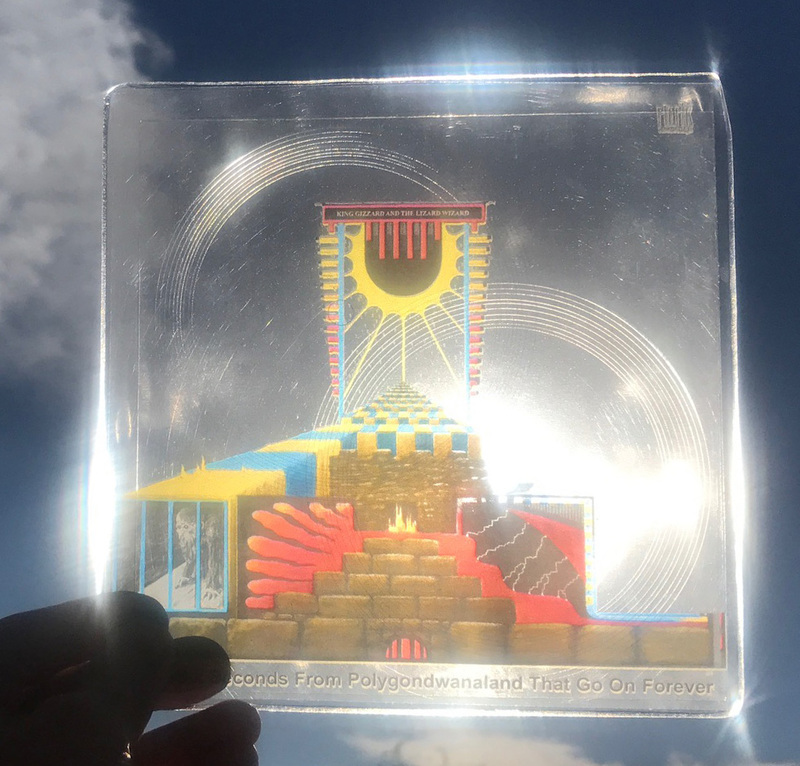 Devendra Banhart Remix 8"s / Michael Nau tour sets back! A few weeks ago, I made a promise to myself that I was going to stop taking on projects and "take a break" from PIAPTK for a little while. But of course, just to spite me, the Universe steps in to make me a liar to myself. 1. 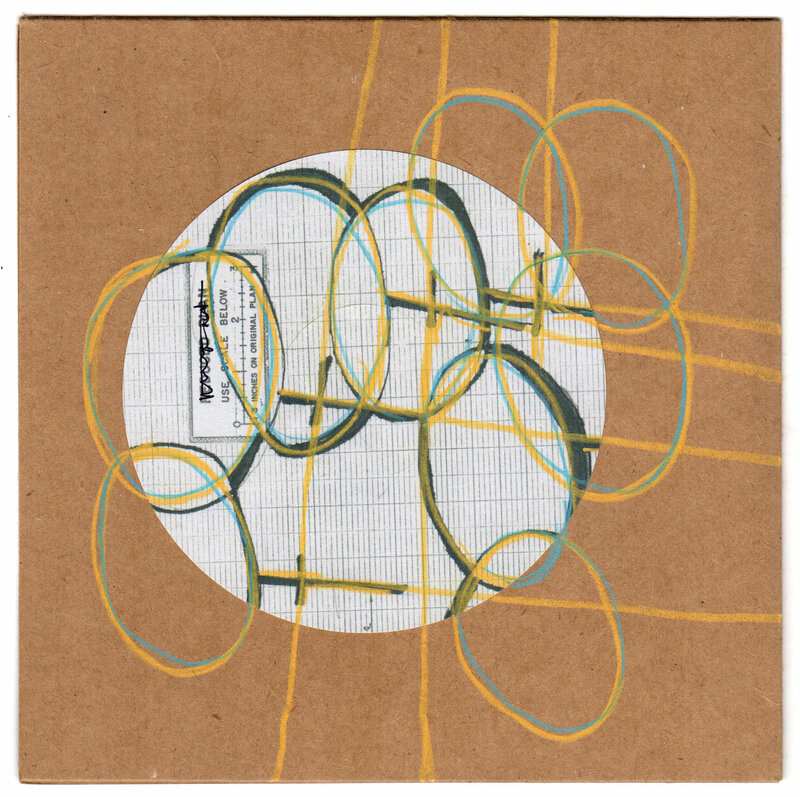 Devendra Banhart Remixes 8"! 1. Devendra Banhart Remixes 8"
Talk about a bucket list release! 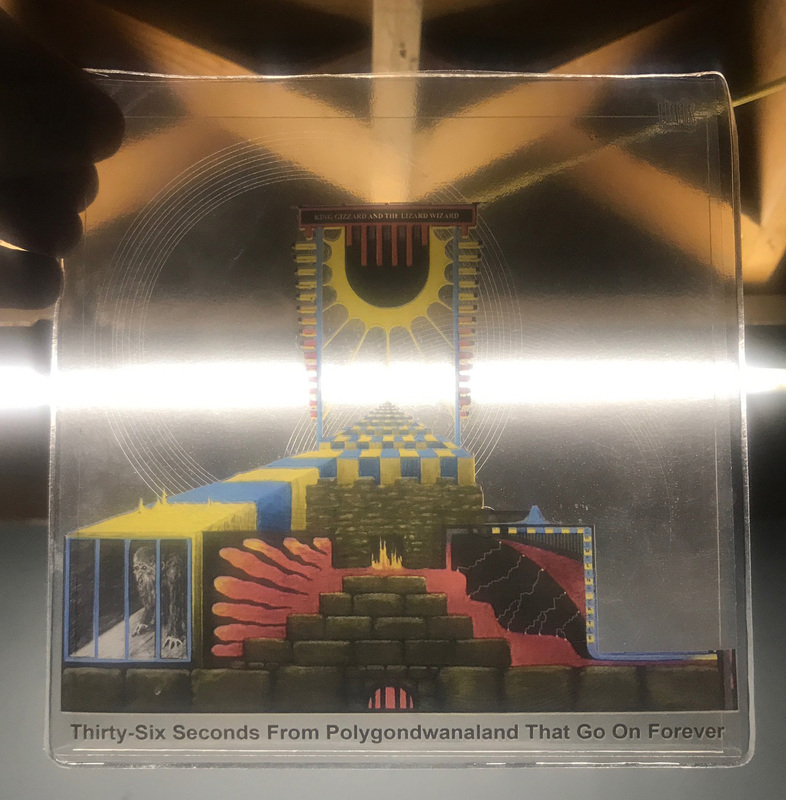 Devendra emailed a week ago in a panic trying to get 100 copies of this single of remixes in time for his South American tour that starts in Lima, Peru on Monday. I had less than a week to make and send him samples for approval and cut/mail 100 copies. In return for the rush, he allowed me to release it on PIAPTK and make 50 copies for myself! The songs are very droney and mellow remixes/interpretations of songs from Devendras recent album, Ape in Pink Marble by Nils Frahm and Gigi Masin. It's very chill yoga music. There are only 40 available through me, the rest will be sold on his tour. 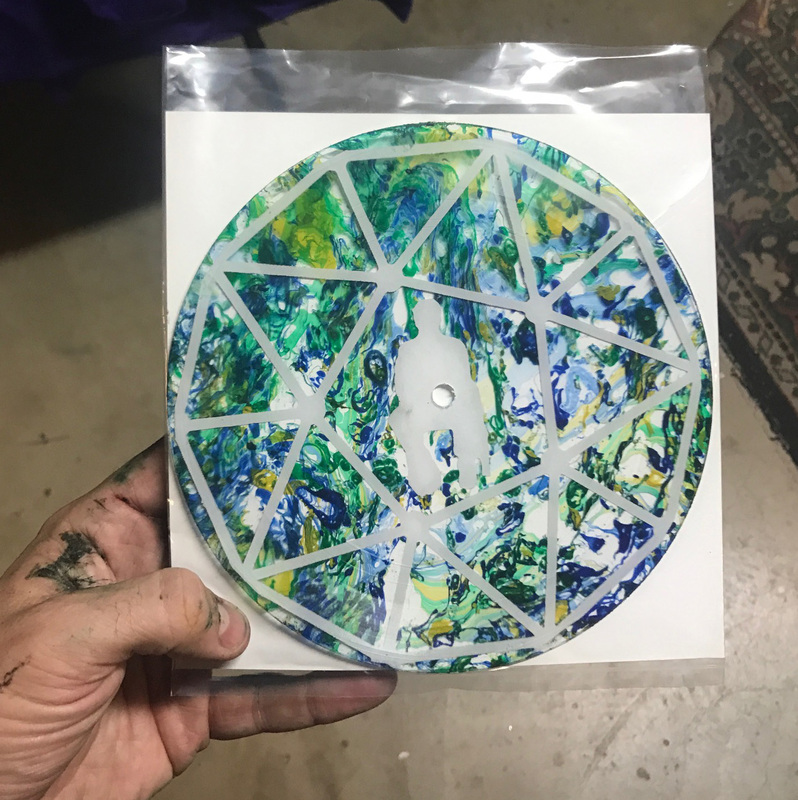 Limited to 150 copies, half are white and half are clear. STRICT LIMIT OF ONE COPY PER PERSON! If you try to buy more, I will cancel the whole order! Well, today was weird. I had to change the bonus gift that was going to be included with the new Floating Action LP (see below), but hopefully, it's replacement will be cool enough. And, I'm going on tour with Michael Nau in Europe, so come see us! 1. Last Chance to Preorder Floating Action - Is It Exquisite with new (different) bonus! 1. Last Chance Floating Action - Is It Exquisite LP Preorder with bonuses! In 24 hours we begin shipping the PIAPTK versions (the AHT handmade version will be a little late, because it takes a LOT of time for Luigi to paint such detailed and beautiful covers...) of the amazing new Floating Action LP. You have until then to get the free bonuses with the PIAPTK version - A bonus silkscreened pic disc lathe cut of Floating Action covering The Generationals' "Victim of Trap" AND a bonus 12x18" poster! The first batch that I listed totally sold out, but after I got the shipment in and doled them out to the band and the collaborating labels, there are a handful remaining and up for sale! Dartboard Debacle: I know that originally this was supposed to include a Dartboard. And the dartboard was going to be pretty rad. I had a prototype made that was cool and cheap, but unfortunately, despite 7 different attempts and over $500 spent trying to bring the stupid thing into existence, this afternoon it finally beat me down. I had to cut my losses, stop throwing good money after bad (a lot of it). 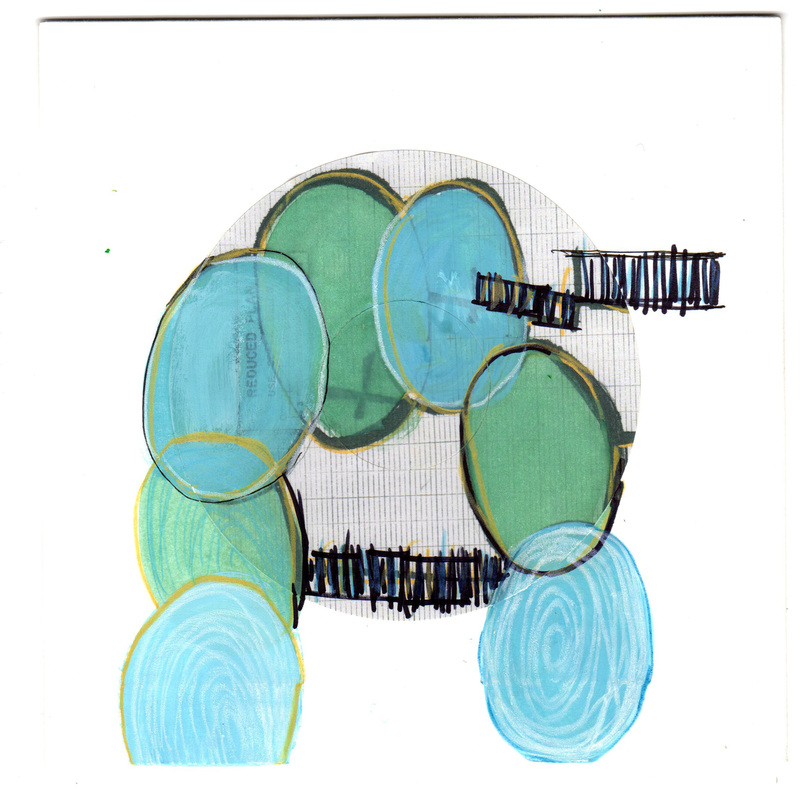 But, I switched gears, stuck to what I knew, and made a beautiful, round, geodesic dome and lawn chair themed pic disc. Pick one up now, before it's too late! 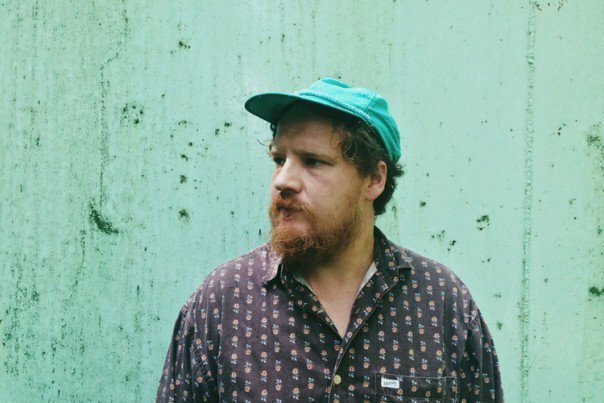 2.Michael Nau/PIAPTK European Tour and TOUR SINGLES SET! From Sept 21-Oct 8th, I will be on tour in Europe with one of my favorite songwriters, Michael Nau (Cotton Jones Basket Ride, Page France). We will be cutting records by request for five fans a night after the show, and using an off-grid, deep cycle battery powered record lathe to record new songs (and film a mini-doc) at places like Stonehenge, the Beatles Abbey Road Crossing, the Eiffel Tower, etc onto high quality dub plates, which will be digitized (or dumped to tape) and turned into an album. PICK A SET UP HERE! Over the years I occasionally dabble in shirts. But I don't usually keep them in stock because sorting sizes and keeping inventory is a nightmare. So, I just cleaned out the T-shirt Tub and am clearing them out to raise money for my European Trip with Michael Nau. Kristofferson - Leftovers from the KK Tribute Kickstarter years ago. Heather Grey with cover image. 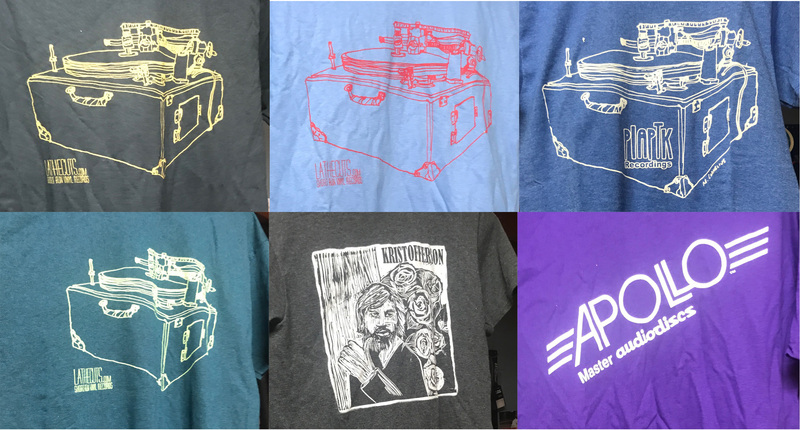 Apollo Masters - I made these as a gift for Apollo Masters, in Banning, CA. I am selling some to help offset the cost of the ones I gave to them. They are the last place in the world that manufacturers record cutting needles and blank lacquer masters. If something happened to this company, it would completely collapse the entire vinyl record market. Sport the logo of Vinyl Records unsung heroes! 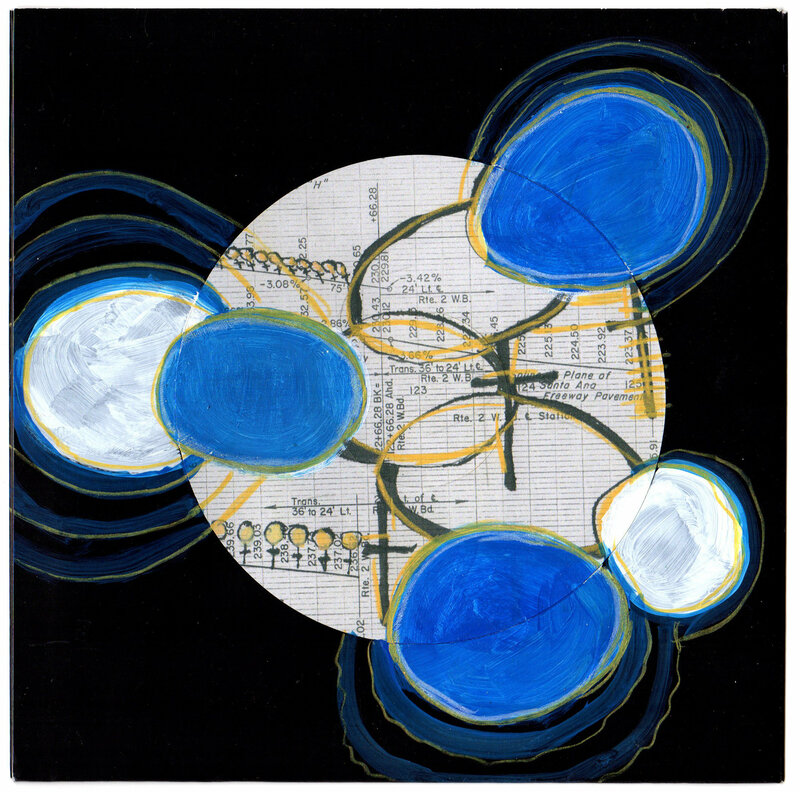 New Floating Action LP, Wooden Wand Reissues, Be My Penpal, etc. It is about to slow down some for us in PIAPTK land, as I stop taking on new projects for a bit of respite from banging my head against the rock/hard place that is running a labor intensive DIY label for weirdos and miscreant songwriters. But, in the mean time, here are the last couple of things we have trickling out of the soft psych folk pipeline. 1. 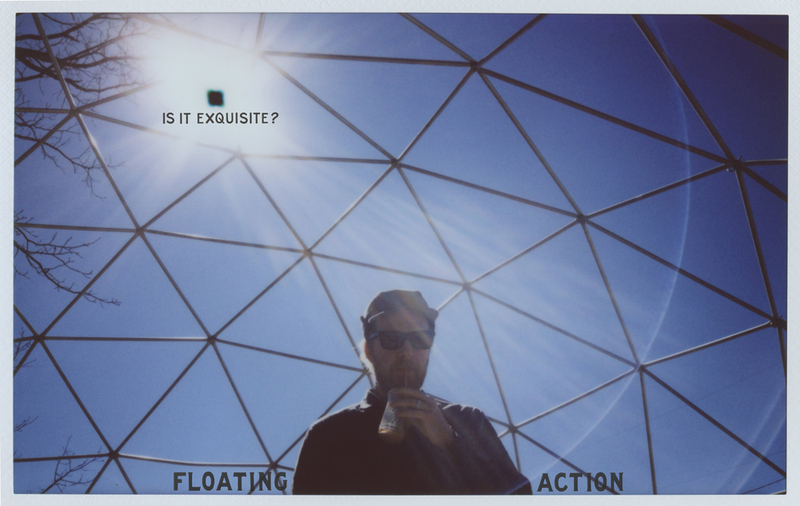 New Floating Action LP, Is It Exquisite? preorder! 2. 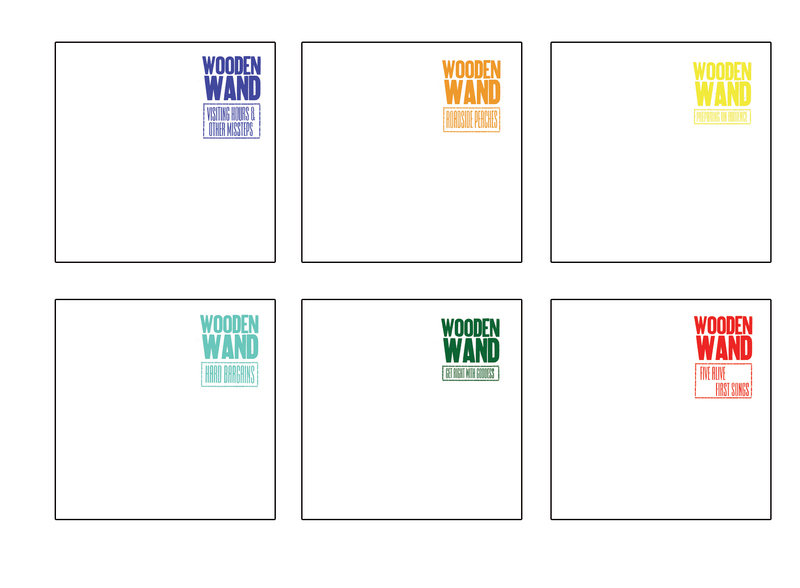 Wooden Wand Archives LPs reissued! 4. 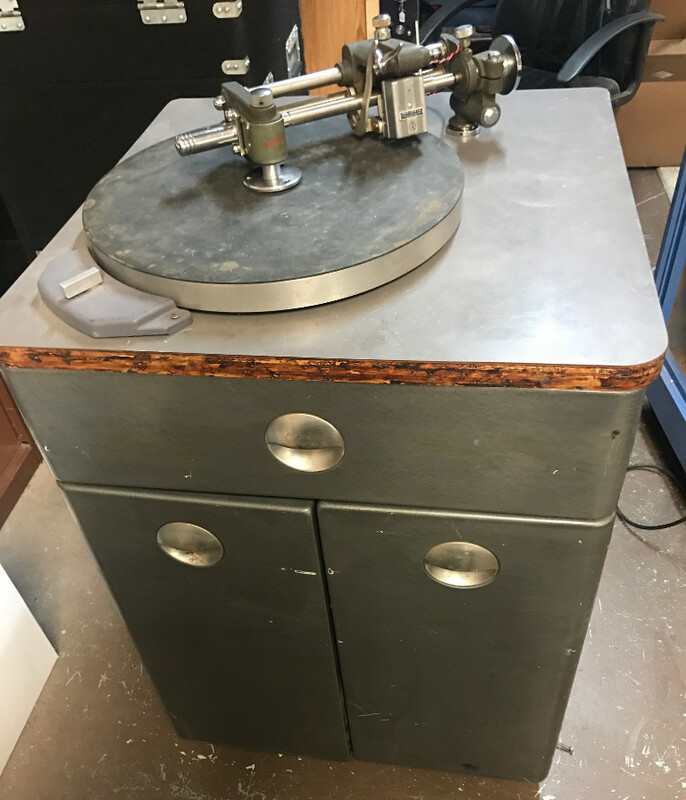 Record Lathes for sale! 5. Let me know if you have interest in a fall Lathe Cut Camp. 1. 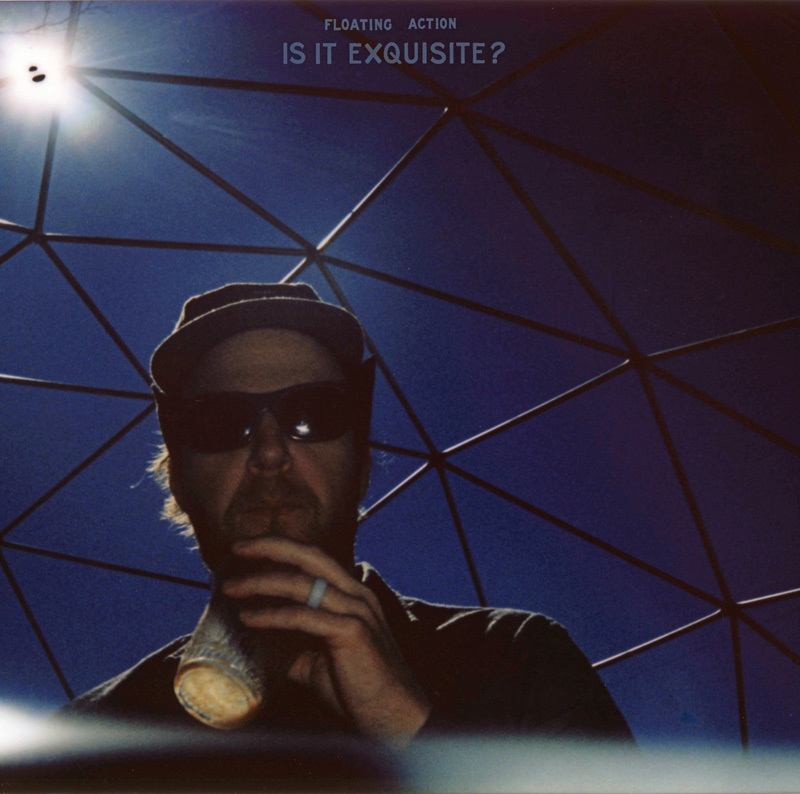 Floating Action - Is It Exquisite LP Preorder! Seth Kaufman is the brains and heart behind the one-man-band, Floating Action. Much like our generation's Harry Nilsson, Seth has played/toured/produced/collaborated and counts amongst his fans some of modern music's biggest acts: My Morning Jacket, Lana Del Rey, Angel Olsen, the Black Keys, Dr Dog, Band of Horses, Ray LaMontagne, etc. We had the pleasure of releasing his last album, 2016's "Hold Your Fire", and 2007's "Research", and they all sold out in a few days. We expect the first pressing of Is It Exquisite to do the same! First 200 on colored vinyl and rest on black,. Preorders from all labels also include a 12x18" poster! 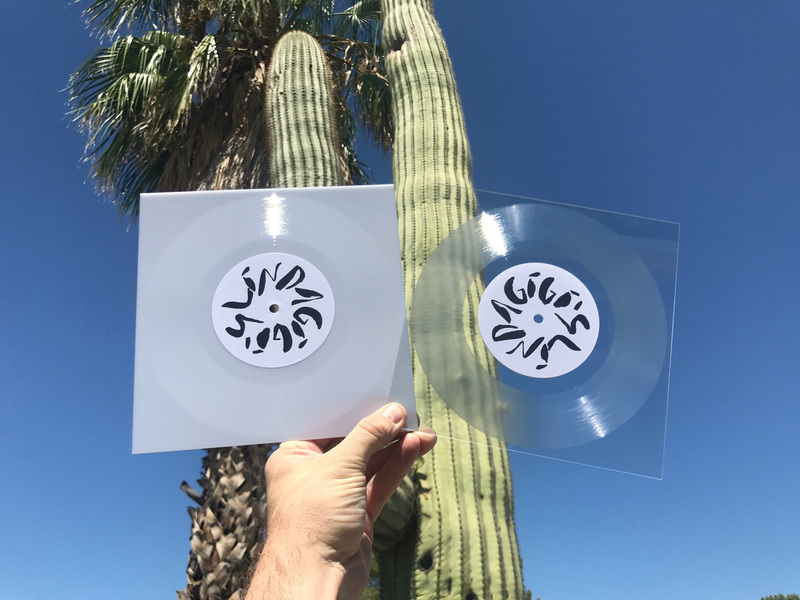 Is It Exquisite is being issued on vinyl by a Co-Op of like-minded record labels: PIAPTK, OK Recordings, Almost Halloween Time, Baby Gas Mask Records, and Ipreferpi Recordings. The PIAPTK preorder will include a PREORDER ONLY (not available after the release date) promo DIY dart board! They are still being made, so pics will come soon. The first 35 copies preordered from each label will be on COLORED VINYL! PIAPTK is also thrilled to be the US Distributor for the Almost Halloween Time versions, which come in unique oil painting covers. AHT hand paints beautiful covers that are all unique but which play on a theme. We only have 50 available! 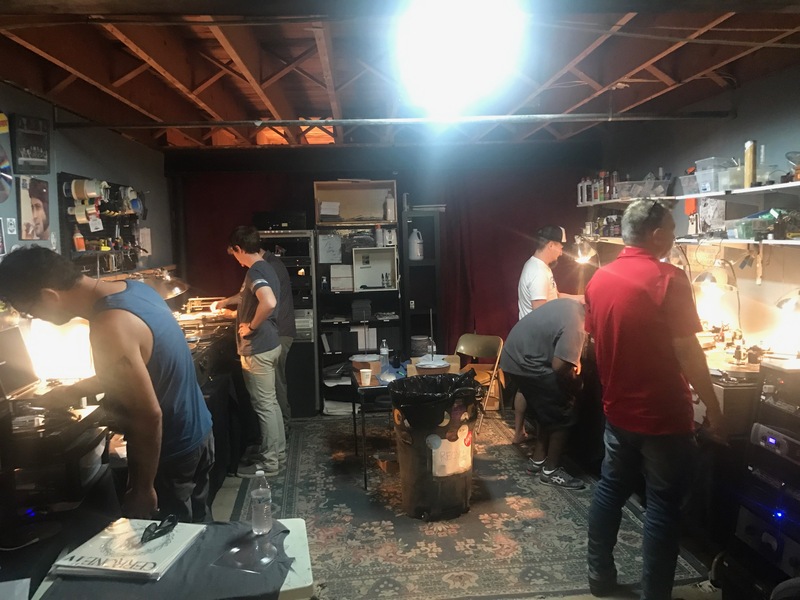 We just finished up the sold-out Lathe Cut Camp 5, and I'm already getting a ton of emails about doing it again, so, here is the next installment. Oct 21-23 (Sat-Mon). Sat and Sun are the most important days, so if you have to leave early, you can. Sunday is just cutting records for people to take home. 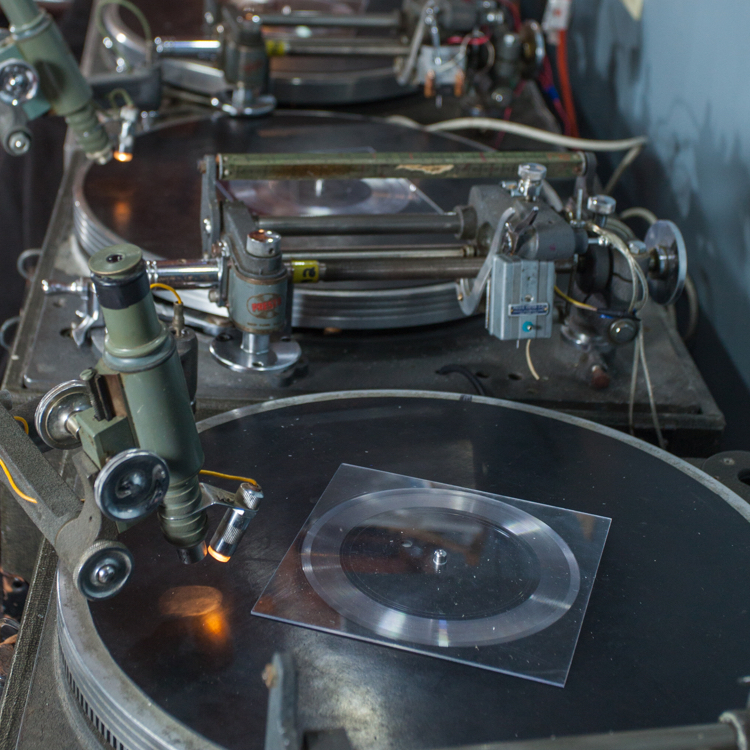 Lathe Cut Camp is aimed at total newbies who are interested in learning about the black art of record cutting, or who might want to invest in a lathe of their own. October is a great time to be in Tucson! Buy a spot and learn more here! 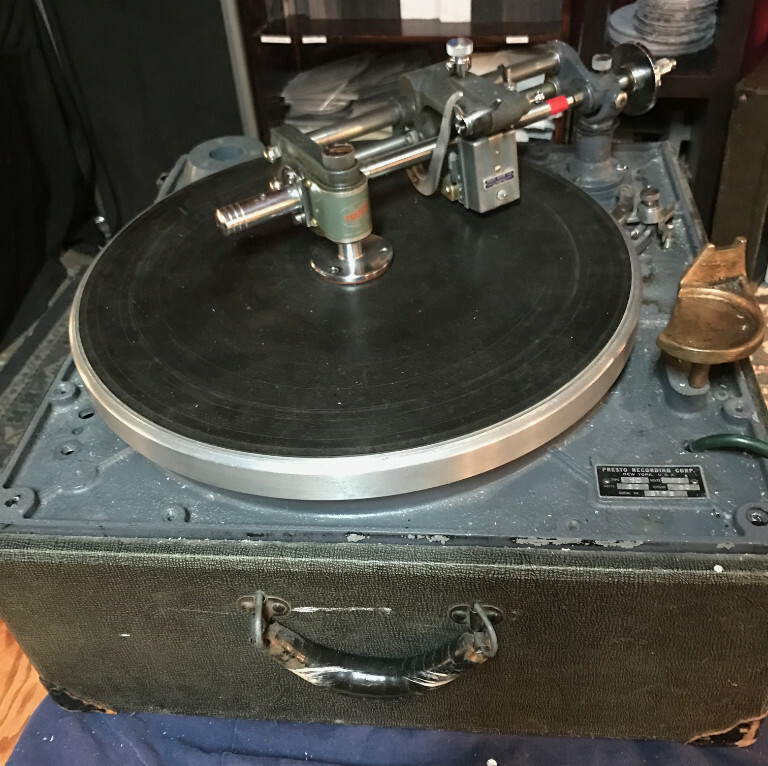 I've been buying, selling, collecting, using and repairing vintage mono record lathes for almost a decade now. And the time has come again to start thinning the herd down in the lathe cave. 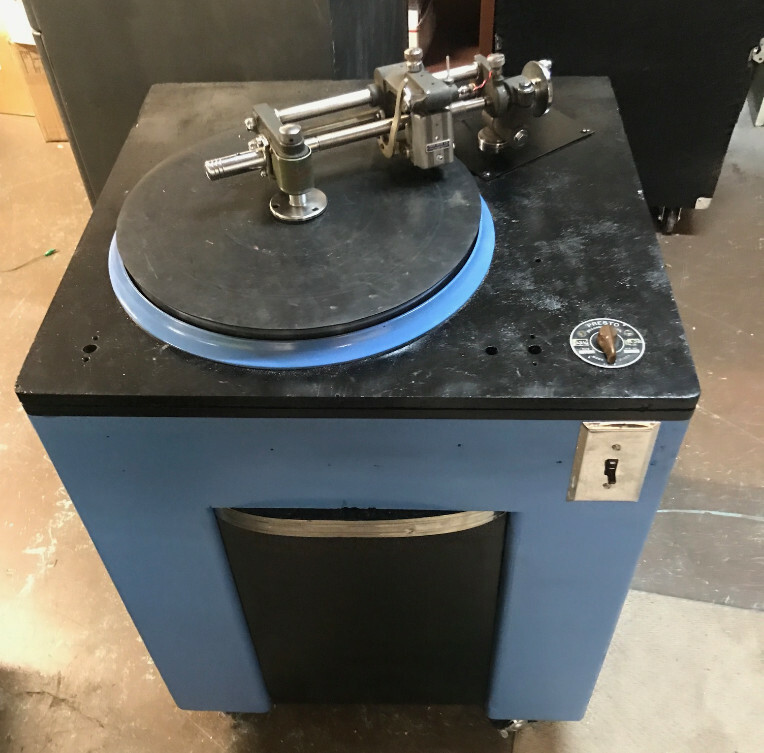 If you are interested in subjecting yourself to the joys and frustrations of cutting your own records, I've got a lot of different options of machines that will be available. Shoot me an email LATHECUTS///AHT///Yahoooooo????Dawt???? ?Cawm with your phone number and we will chat about what you are wanting to do and I can give you the options that would best suit your needs.